EPA BASE Study. In the 90’s, the Environmental Protection Agency carried out the Building Assessment Survey and Evaluation (BASE) study which performed a thorough indoor air quality assessment in 100 office buildings. A document published from the study describes how the EPA categorized their air sampling results, placing each type into one of four fungal groupings. Click Fungal Groupings to download the PDF from the EPA website. ERMI. Researchers from EPA and HUD developed the Environmental Relative Moldiness Index (ERMI) to help identify problem homes. I’ll describe the whole ERMI process in a future post, but for now we’ll only look at its fungal categories. Water damage indicators: Stachybotrys chartarum, Chaetomium globosum, Cladosporium sphaerospermum, Aspergillus versicolor, Eurotium (A. )amstalodami, Penicillium variabile, Aspergillus flavus, Aspergillus restrictus, Penicillium crustosum, Penicillium chrysogenum, Aspergillus niger, Aspergillus sclerotiorum, Penicillium purpurogenum, Aspergillus fumigatus, Penicillium corylophilum, Aureobasidium pullulans, Aspergillus ochraceus, Penicillium brevicompactum, Paecilomyces variotii, Aspergillus sydowii, Penicillium spinulosum, Wallemia sebi, Aspergillus unguis, Scopulariopsis brevicaulis, Scopulariopsis chartarum, Aspergillus penicillioides, Trichoderma viride. Hopefully the references above will help you better distinguish common outdoor fungi and those that may indicate indoor air contamination. Do you know of any additional references that discuss this topic? Please leave a comment below! How would you use the ERMI data in an investigation? If you have enough time to explain ERMI further I would appreciate it. I’ll blog about ERMI in the coming weeks to answer your question. I am unable to find the blog regarding ERMI and answering Ryan’s question after scouring the website. Will you please provide a link to the blog you mentioned here? I’ve done my own research over the years and worked with various types of mold tests for personal health issues. I wanted to share a my recent experience mold testing. I am not a professional, just a person with severely debilitating health issues and many related to mold exposure. First, multiple trusted physicians pointed me to http://www.survivingmold.com and that website talks about the ERMI, HERTSMI (or HERTSMI-2), and Mycometrics lab with much of the information provided by Dr. Ritchie Shoemaker. This website has some very useful information. Don’t stop reading yet if this applies at all to you! I ran multiple HERTSMIs on different potential rentals and after ruling out a few due to high HERTSMI scores I found a place that was very mold-consious and proactive about preventing mold. I did a HERTSMI test and it got a score of 6 – okay, right? Well, I also had the lab test an additional species that I have not been able to find ranges on because I have a Class IV IgE allergy to it. The number seemed high although the HERTSMI (with a disclaimer) leads one to believe this place was “safe”. Out of frustration regarding the additional species I spent an extra $300 and had the lab run a full ERMI, Environmental Relative Mold Index, (36 species as opposed to 6) and my results were shocking to me and the property management: 5.66, meaning according to this test over 75% of homes in the US have less mold than this one and definitely not recommended for someone concerned about mold. So before you content yourself with running a HERTSMI if you have health concerns with mold, even if your mold-knowledgeable physician recommends it, consider that had I not tested and been concerned with a specific additional species, I (with my mold biotoxin illness, genes, and allergies) would have moved in confidently to a significantly moldy home. My personal experience me leads me to recommend *in my non-professional opinion* to consider a different mold test option before using the HERTSMI as your only test to give you safety answers if you too have significant problems with mold. I’m glad to provide my test results if someone would like to see them. I have nothing negative to say about the lab or Dr. Shoemaker, just a warning from my personal experience about counting on the HERTSMI to give you a big enough picture for safety (the disclaimer is there for a reason and I never anticipated it being such a potentially big reason!). In the Maryland tri-state area I can recommend a mold-inspector used by my primary care doctor and myself who was incredibly professional and thorough (mold dog and EMSL Labs with a air sample after visual inspection who provided practical recommendations without medical advice). Tessa, thank you for making this detailed post. I ran an ERMI test on my house which failed with a 6.3 and I am in the process of relocating. This is invaluable info for me!! Tessa, Just a quick comment while the HERTSM2 has its place, as individuals you have to understand that Dr Shoemaker is utilizing that as a tool, its not the complete tool kit but using an air sample as an indicator of exposure is very short sighted. 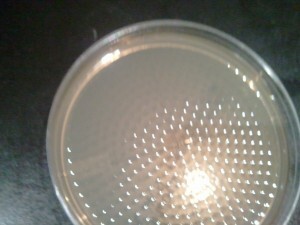 There are a number of potentially pathogenic moulds which are not easily airborne and then you have bacteria growing sided by side and if you don’t culture the bacteria you wouldn’t even know that its there- some moulds also are infected by mycoviruses which can replicate and also be perhaps in some diseases of greater importance than high levels of moulds. What this is simply saying is that I love the HERTSME 2 but I only use it as one part of my investigations. Ian, you call yourself a Professional Engineer but you are not commenting on the need of a control in mold testing. All, be very careful running one of these tests yourself, there are a lot of people stealing your money off of these home tests. Do your research and see how one mold site may reference another site for testing….but then you find out all these people are in business together. I’m not saying this is the case for Ian, but the more I have gone down these paths, the more frustrating it is. You can not conclude anything from mold test without using the correct engineering experimentation techniques of having controls to compare against. Also be careful of so called acceptable ‘ranges’ out there, these are less than scientific. I could go on and on, but I will just say do your research and be careful with your money. You must have missed the second sentence where I say, “The total number of spores in the complaint area should be compared to indoor and outdoor controls, or more accurately, “references”.